And that is certainly what happened at the Brisbane Airport. A simple mistake. Okay, let me explain. You see, an elderly lady was traveling from Mumbai, formerly known as Bombay, to Australia. What many people don’t don’t know is that most people still use the name Bombay rather than Mumbai. And how does that fit into our story? Well, the Mumbai Airport still uses the Airport code: BOM. 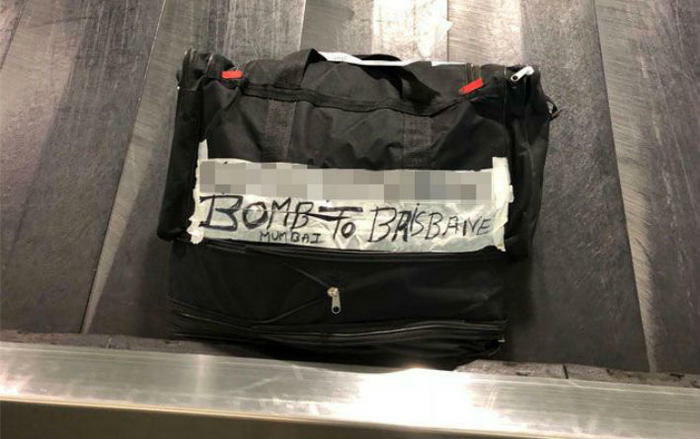 65-year-old Venkata Lakshmi, however, decided to use another abbreviation; BOMB. You can see how that would make anyone a bit scared, right? And that is exactly what happened at the airport, and they asked the lady to open the bag, so she did. This is what her daughter, Devi Jothiraj had to say. They asked her to open her bag and it had all the regular stuff you know parents bring from India for their children. She has visited Australia four times before and my sister used to help her with packing etc. But this time my sister wasn’t there so she had to do it herself. Everyone knows Mumbai was called Bombay, my mother was writing Bombay and realized it won’t fit so she wrote ‘Mumbai’ underneath. And this is the mentioned package. Her daughter also addressed the hateful comments after the story went viral. First we also had a good laugh at it but after it went viral and many media outlets published it even in India, people started commenting things like, ‘oh these Indians don’t know anything’ are not in good taste. It’s a mistake anyone could make and she didn’t intend to cause any panic.I hope now people will get over it. It [the comments] doesn’t feel right. I personally apologies for all the confusion that it caused. She understands the mistake she made. She can read and understand a little but she didn’t realize it would cause a problem, it went over her head. So what do you think about this bomb scare? Do you think it was just an innocent mistake? Comment on below and let us know.